CASE: A man was riding on the back of a trailer participating in a parade when the vehicle behind him suddenly ran into and up onto the trailer causing fatal injuries. 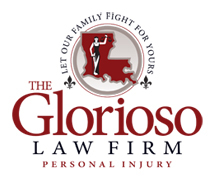 The Glorioso Law Firm successfully argued that the defendant driver and passenger were both negligent for the accident. The defendant driver plead the 5th amendment and refused to answer any questions under oath. He had a minimum insurance policy. The defendant passenger aggressively argued that she was not at fault. The case was resolved for $300,000.